A conversation in the local Co-Op between the vicar and a local resident led to IP cameras supplied by use-IP being used for a very different application than security. As some elderly parishioners of St Peter and St Paul Church in Deddington began to find it difficult to attend the Sunday Service, the idea of a live audio stream was proposed. However, long pauses in the service (during communion, for example) revealed that both audio and video would be ideal. The brains behind the scheme, local resident David Rogers, used the church’s existing telephone line to establish a broadband connection, to which he connected a PC and IP cameras sourced from use-IP. He began with the Axis M1011 but found that the Axis M1054 was much more effective in producing the desired picture quality when viewed in full-screen. Recently, Mr Rogers has installed a second Axis M1054 facing the font at the rear of the Church to enable a second view, which is particularly useful during baptisms. A third IP camera (the Axis M1011-W) is used by the bell ringers of the church to alert them to the arrival of the bride during wedding services. Using an application controlling Adobe Flash Live Media Encoder, the stream automatically switches on each morning and an operator can remotely adjust the volume to suit each service, whether it is solemn vows or a full choir and organ. 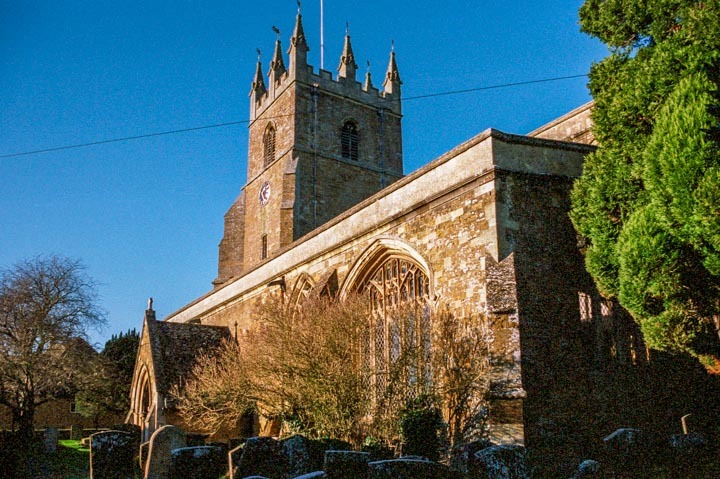 The project looks set to extend further into the UK, with interest from Christ Church Cathedral in Oxford, St John’s in Carterton and Buckingham Parish Church. The use of IP cameras in churches has also been noted on a more worldwide scale, following a visit from the Curate of Deddington (armed with nothing more than a laptop, an Axis M1011 and some cables) to Sweden to stream the consecration of Bishop Elect Jan-Olof Johannson from Uppsala Cathedral. Back in Deddington, the success of the project is undeniable. Services are streamed frequently in the local nursing home and hospital, much to the delight of loyal church-goers, with one broadcast reaching an audience of 160. The technology has even enabled new Godparents from as far as Kuala Lumpur and New Zealand to take their vows and actively partake in baptism services from thousands of miles away. The possibilities seem endless. Future projects planned in the Parish include a communal reading of the St James’ Bible in honour of its 400th anniversary conducted over Skype and a ‘Christianity in 15 Objects’ series planned for 2011-12. This may be a far cry from the ‘normal’ applications of IP CCTV Cameras but the work in Deddington goes a long way to prove how dynamic the products at use-IP can be. For more information, please visit www.deddingtonchurch.org and watch a service yourself! Greenpeace used some smart technology to intercept video signals from a Kent Police helicopter and have now (2 years later) used the video clips in this promotional video. A team of Greenpeace activists hacked in to and intercepted live CCTV footage from a police helicopter during a protest at a power station, to use in a documentary released this week. Police are investigating how the activists managed to obtain footage beamed from their helicopter to officers on the ground during an invasion of the coal-fired Kingsnorth power station near Rochester in Kent, by Greenpeace members in 2007. The footage has come to light only this week with the release of the documentary — made free of charge by Nick Broomfield, the Bafta award-winning film-maker — which uses parts of the helicopter footage to show the activists at the top of the 200-metre power station chimney.